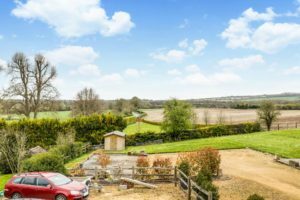 The Country House Company are delighted to be selling this unique 2 bedroom, contemporary house at the edge of Meonstoke with far reaching views over adjoining countryside. 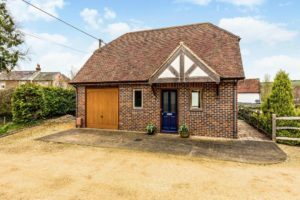 This open, stylish property provides an easy lifestyle with low running costs in a lovely rural village; ideal for working from home and locking and leaving. The property has an open plan spacious living/dining/kitchen area finished to a high standard with modern fitted kitchen and French windows opening to the garden and fabulous views over the village and countryside beyond. The modern kitchen is beautifully fitted with wooden effect work surface, tiled floor, integrated oven and ceramic hob, and space for dishwasher and washing machine. There is ample room for free standing full height fridge/freezer. Both bedrooms are a good size and have plenty of storage and hanging space. One has views across the valley and village, the other looks out to the South Downs Way and fields. The bathroom has a shower system over the bath with fitted screen. 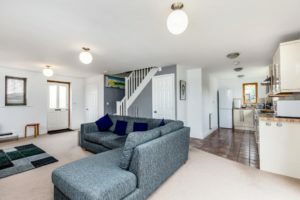 The property has been finished to a high standard and has mellow brick elevations, clay tiled roof, hardwood oak double glazed windows and external oak woodwork. There is a lawned area to two sides of the house with scope for landscaping plus parking to the front. The garage is a good size. 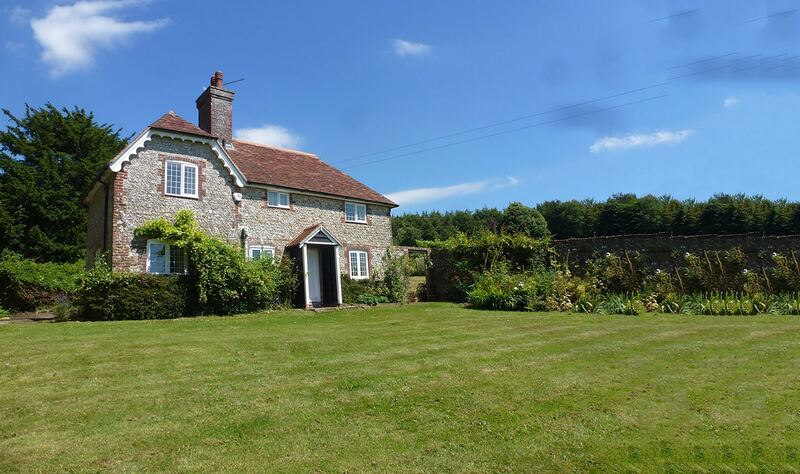 The house is situated to the edge of Meonstoke, an extremely popular village in the heart of the Meon Valley. Meonstoke is a traditional yet vibrant village with excellent access to the market towns of Bishops Waltham and Wickham, as well as Winchester and Petersfield where stations providing a rail service to London Waterloo can be found (Winchester to London from 59 minutes). There is easy access to the A32 and A272 and the excellent village shop/post office for everyday needs in Corhampton which is within walking distance along with 2 great pubs.